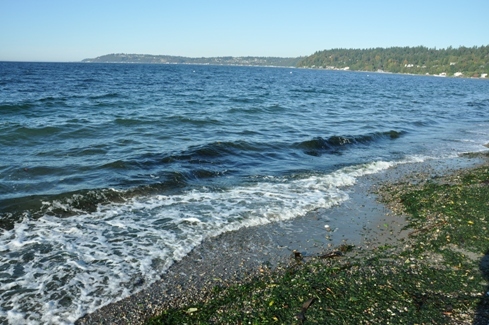 On of the most unique walks you can find around Puget Sound is the Indian Trail at Three Tree Point. 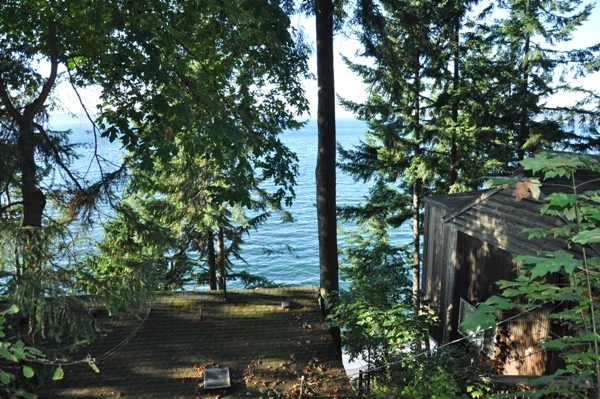 Three Tree Point is a historic secluded waterfront community on the west-facing shores of Puget Sound in Burien. 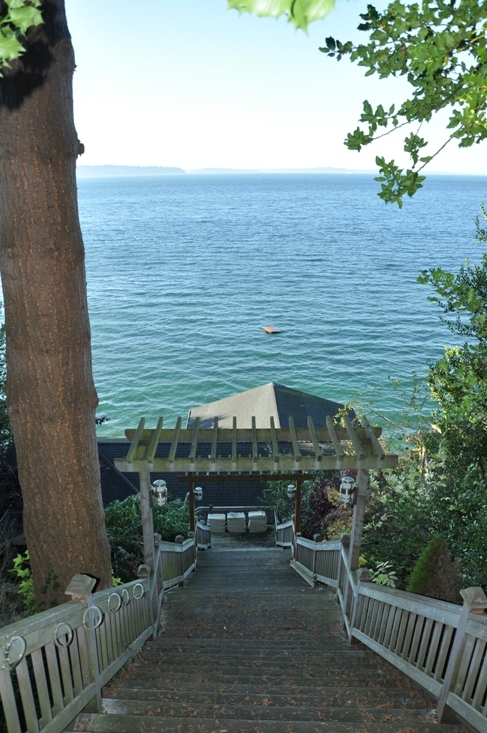 Unless you were there for a reason, you'd never go to this hidden outpost of homes on the sound. 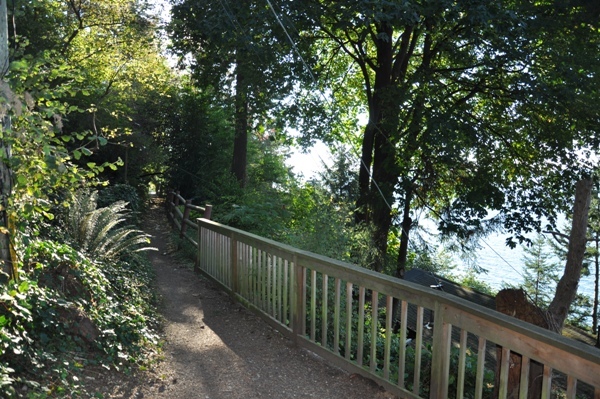 But this trail is the place to go to show out of town visitors the Puget Sound home experience. 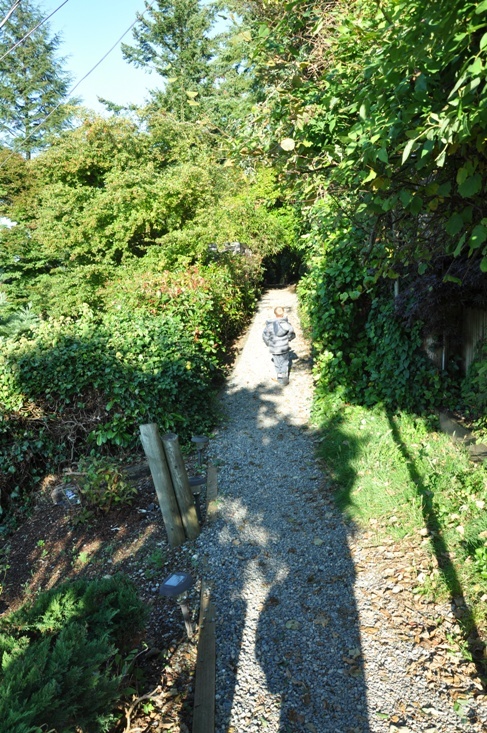 The trail is similar to a pre-road era where narrow public walkways existed between homes. The trail has homes above and below, some perched on stilts, others luxuriously enjoying a large spot on the hill. 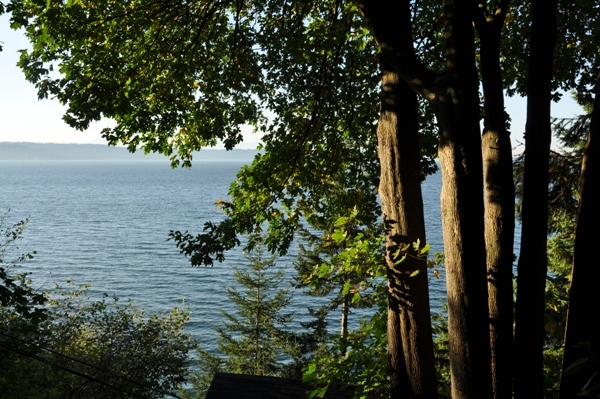 You'll pass by front doors, back doors or long staircases or switchbacking trails dropping down to beach houses. 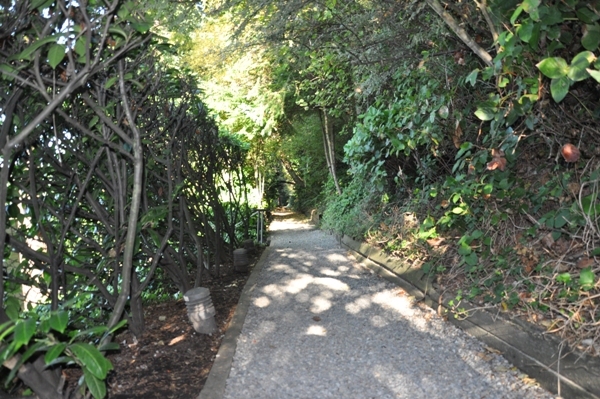 Many have no access other than by foot on hiking trails. 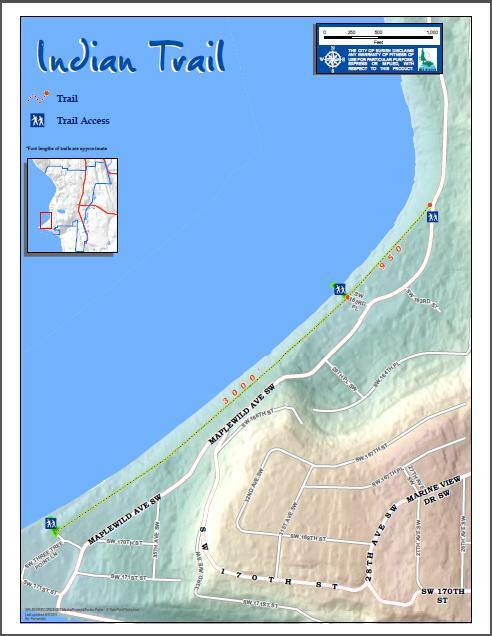 As far as recorded, the path has been called Indian Trail so imagine this as the path that Indians followed as a shoreline route around the point. Artifacts have been unearthed and collected during various construction projects and by the local residents. The trail continued further in times past but has gone away over the years. 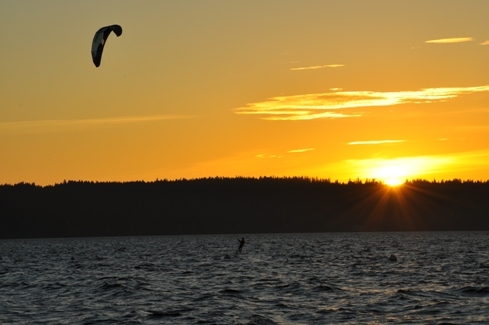 Along the route, you will have views west over Puget Sound, the Olympic Mountain range, the shipping channels and Vashon Island. 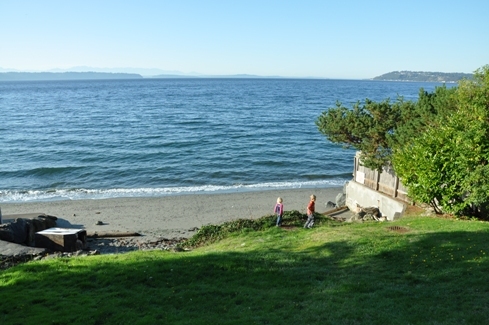 The south end of the trail has beach access as well as one small lot near the north end. 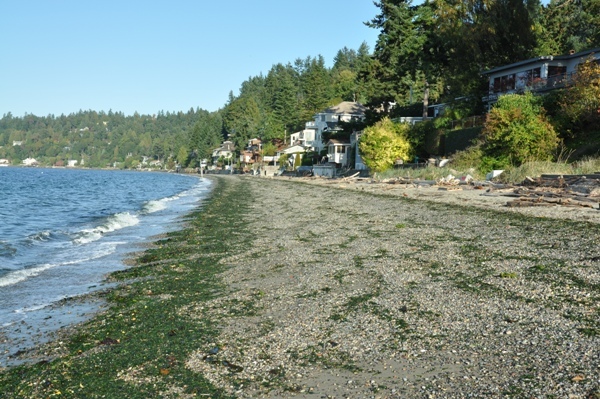 It is possible you could do a loop by returning via the beach but homes own the beach here down to the extreme low tide mark. 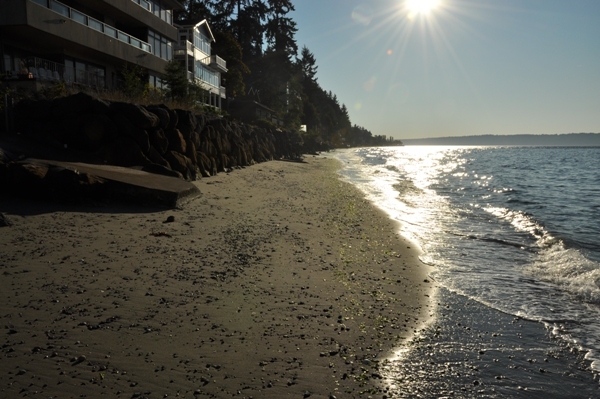 Travel at low tide and keep moving is often tolerated. Returning the same way via the trail though often shows you something you missed on this quickly changing visual trail. From Burien, go west on 152nd Street. As it gets close to the sound it will drop eventually becoming Maplewild Avenue SW. Turn right at SW 170th Place. A short distance down you will see a left for SW Three Tree Point Lane and a right going to some water access. Look for a few parking spots between the two where City of Burien signs give some rules. The Indian Trail is not obvious. 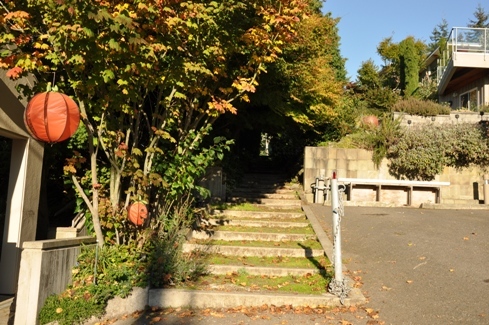 Look for a small set of concrete stairs between homes heading south next to the gate. This is the trail. Just keep going. One spot look like it is going into someone's yard but the trail doesn't end until you come back onto Maplewild Ave SW. See attached maps.